Who loves a beautiful garden but doesn’t have a green thumb? Well the good news is that no garden could require less maintenance, or give more rewards, than an Australian native bushfood garden. The Australian bush contains a bounty of wild, edible plant species that runs into the thousands and with the current trend towards self-sufficient, sustainable living, I want to introduce you to a few easy-to-grow, Australian bush tucker plants. A small to large-ish tree that flows with cream flowers, followed by edible, super yummy, and highly nutritious, nuts. A hardy and easy-care tree that is best suited to warm temperate climates. 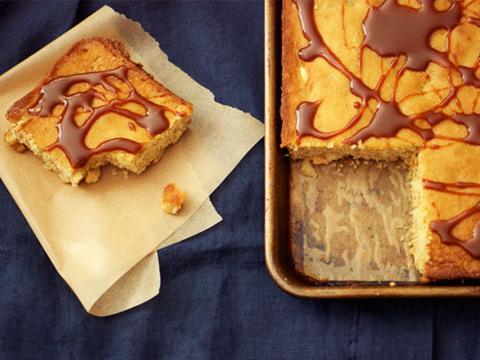 This white-chocolate and macadamia nut sheet-cake from seriouseats.com will have you rushing out to plant a couple of Macadamia trees in your back yard! A small to medium tree that can be found in the rainforests of North Queensland. The rich tangy fruit can be made into jams and jellies or used in sauces. It is also high in antioxidants and has over 100 times the vitamin C levels found in oranges. The fruit drops from the tree when ripe and even when fully ripe, they are highly acidic. 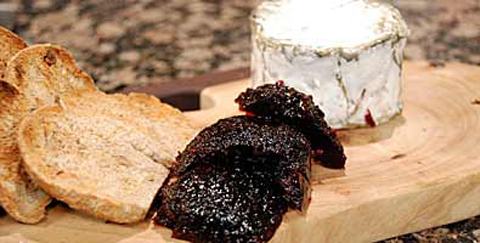 Nobody knows a fruit paste like Maggie Beer so why not try her Davidson Plum Paste recipe from ABC TV’s Cook and Chef the next time you throw together a cheese platter? A small to medium tree, the foliage of which, can be used to make a refreshing tea. This tree features leaves with an attractive wavy edge and emit the gorgeous aroma of aniseed when crushed. Not only one of the most common bush tucker plants, Lemon Myrtle is also one of the prettiest, with its dainty, fluffy white flower heads. Any dish that asks for a lemony flavour can be enhanced with lemon myrtle, and the applications are endless when it comes to this plant. 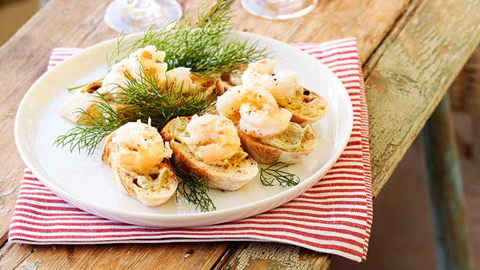 What better spread for your Australia Day celebrations that food.ninemsn’s recipe for these mouth-watering yabbies on sourdough with lemon myrtle mayo? Or you could go really Aussie and switch the sourdough to damper! What is your favourite Australian Native plant? Do you have bush tucker growing in your garden?